Today, businesses require an online presence like email and a website. A business usually has two main options when it comes to hosting their company website; go with a local in-house “dedicated” server infrastructure, or, work with one or more cloud service-based providers. The differences between the two can seem minimal to some, but there are vast differences between dedicated and cloud based hosting options. Below we describe the details of both models, as well as the main pros and cons of each. Having your own dedicated in-house local server infrastructure is when you purchase computers/servers for the office. You probably already have something in-house that manages your file shares, printers and more. For your online presence these systems are setup to host and serve your email or your website. Owning the hardware and hosting your own services has its benefits, but it also has its disadvantages. Read on to learn more. Control is the main benefit of having your own infrastructure. You have more control over your purchases, its resources (CPU / Memory / Disks), its backup schedules, security settings, internet service, and plenty more. It is yours to do as you wish and when you wish. In-house implies that that servers may be in your office, allowing you to have easier access to the infrastructure. You can plug a monitor and keyboard to your server for example. If you need some additional resources, you can quickly access them (assuming you had purchased them). The systems are at your fingertips and are dedicated to only you. This means you can access backup data, and quickly. Your business’ infrastructure can grow with at your own pace and finances. 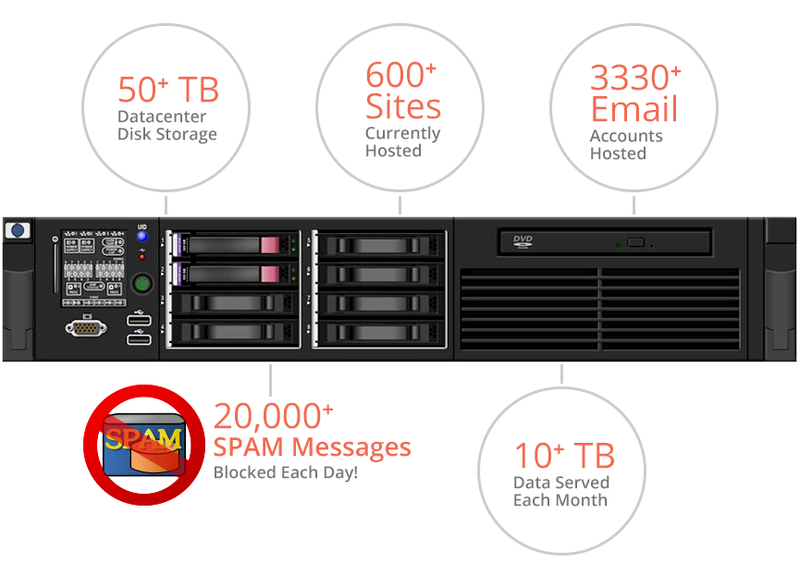 Need more servers, space, speed – its all in your control to do when you want. It is yours to grow as you wish. In order to have your own infrastructure in-house you will need to buy your own hardware. This will need to be something that will have enough power, memory, and/or disk space to host your online presence. An internet connection that is active at all times is needed to allow your clients to access your website or email you at any time. The system needs electricity and potentially some form of cooling – while most systems can handle some warm temperatures, constant elevated heat can reduce the lifetime of your system which could affect your online presence. Having your own infrastructure in-house comes with the need to do maintenance and have someone either in-house or on contract that has the knowledge to do it. Maintenance can be anything from periodic updates, issuing backups, applying security patches, or even troubleshooting requests like “did my email deliver to the client” for example. Requiring more resources like memory or disk space when your in-house infrastructure runs out of room has a cost to it. You may need to purchase more disk space or new drives altogether, even if you only need a small amount more to store that email archive. You will need to purchase more disk space, like a USB drive or even a system itself just for your backups. Backups are very important and allow businesses to continue with their online presence in the event of a system failure. You may even need to pay for licenses (not all software is free). If your business is more concerned with costs rather than with control, then a service-based infrastructure may be a good option for your company, but it does have its own disadvantages. Read on to learn more about the pros and cons of service-based models. When looking at a service-based infrastructure, you don’t need to spend lots on an upfront solution. You can pick and choose what to get and how much. If you only really need 2 GB of storage why spend for a 1 TB drive? The same example can be applied to a multitude of scenarios from disk usage, to processing power, to memory. When you go with a cloud service-based model the responsibility to keep your service active lands on the hands the service provider. This includes backups, keeping the power going when there is an outage, applying security updates, and even replacing faulty hardware. All these and more are items you no longer have to worry about as much with service-based models. Your services can be accessible from anywhere in the world. If you go on vacation and need access to an email, or need a picture from the group share, with a web service-based model you can access the data from everywhere (as long as you have Internet access). 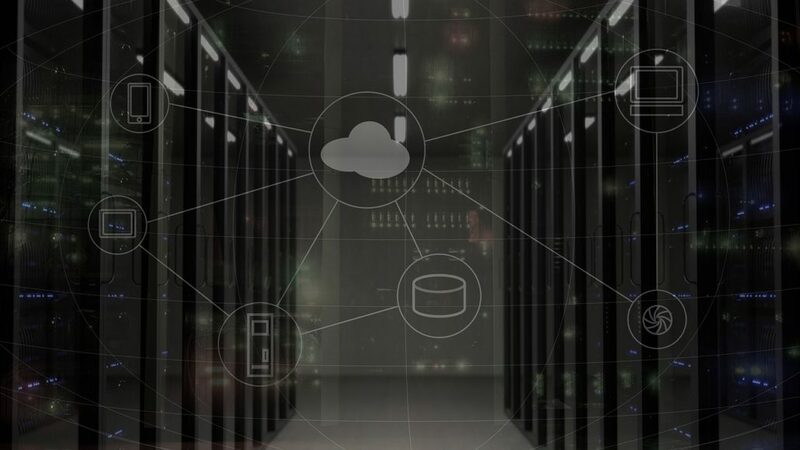 Although the costs may be comparably less when going with service-based cloud servers vs. dedicated in-house servers, there are some very important disadvantages to going with cloud-only server models as well. Read on to learn what these disadvantages are. “Wait a minute, we covered this in the pros – why is it here?” The more you use, the more the cost goes up. The previous example had you store just a couple gigabytes of data. However, costs can increase quickly if you have Terabytes of data (1000 gigabytes) to store, or have multiple systems you want to setup. The more you add, the higher the cost. Over a couple years you might have paid the cost of buying your own dedicated in-house system. You do not have your own dedicated server with a web based hosting solution (unless specifically purchased for more money). Depending on what you go for, you might not have any say on custom software you may want installed, or what the hardware is used for. You are paying for a service (email, web etc.) which are pretty standard and commonly setup between service providers. Other web/cloud services like a virtual private server (VPS), however, can be setup to your specifications and requirements. You need the Internet to work and get access to your service, files etc.. Unlike your dedicated in-house infrastructure, if the Internet goes down and you cannot access the Internet (or if you are in a restrictive area) you will likely not be able to access your files or service. Your bandwidth where you currently are can dictate how quickly you can access your files. Most modern Internet networks run at 1000 megabytes, accessing files is a straightforward and quick process. With a web based service, copying that same file could take minutes vs seconds. There are a many potential slow down points. The decision on whether your business should go with a local “dedicated” in-house server model or a cloud service-based model completely depends on your business’ requirements and budget – as well as if you prefer having your own hardware or not. A mixed solution is usually best. Go with an internal infrastructure for your file shares, printers, and other speed sensitive items. Then, go with a web based service for your website and email services. This is how Caorda operates — we have an in-house infrastructure for our file share, printer share, and even our phone system. Our email and website is hosted in our web based service. This is the same type of hosting service we offer our clients. Either way, to help you decide we advise speaking to one of our project managers to consult in detail about your needs and what the best solution is for your business needs. Read Some Testimonials From Our Clients! Caorda has hundreds of hosting clients that we work with on a daily basis. Here are a few testimonials from some of them! As the only online crop hail insurance provider on the prairies, AG Direct Hail relies on Caorda to handle all of our application development, hosting, and support needs on budget and on time. We have a very short window each spring to meet and exceed our sales goals so we can’t afford a single minute of downtime. In five years, we have never been let down by Caorda. They are professional, engaged and intuitive when it comes to our requirements. Caorda are simply the best business partners we could ask for.